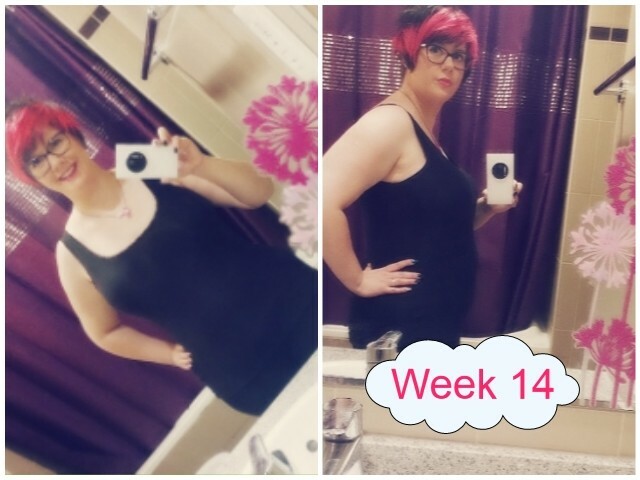 Welcome along to Week 14's Baby Bump Update! So far I've only worn one pair of Maternity Trousers, but I think I'm going to need to invest in some more stuff this week! I'm still using the pure Shea Butter on my tummy every night. I'm sleeping really well at the moment. However I am trying to sleep more on my left hand side now as I read that was good for baby bump. I think I'm going to have to invest this week in a maternity pillow. I was feeling really nauseous at the beginning of the week however now it seems to have settled down again. Thanks goodness! I've been really good pregnancy wise... however I'm still battling this sinus infection! Happy... just a little grumpy with the sinus infection thing still... however I'm getting better. Going to Modesh World on Saturday night to present on the Dubai 92 stage and give away a rather large prize. Exciting!